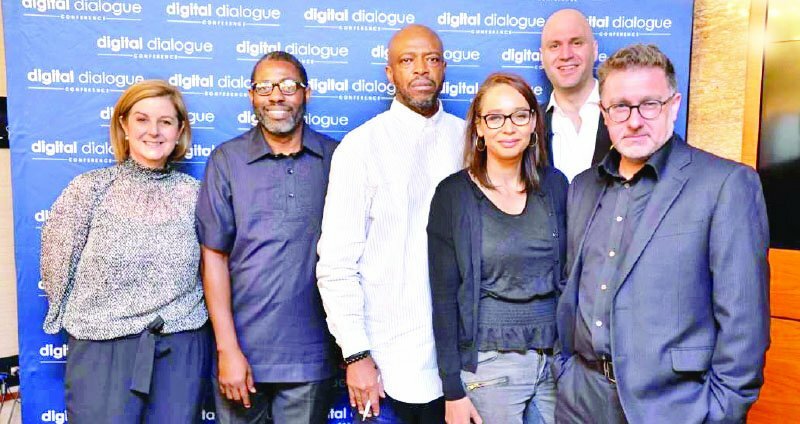 It was two days of brain storming and knowledge transfer for select African nations, in the first week on May, as MultiChoice African hosted the 2018 Digital Dialogue conference in Dubai, the United Arab Emirate (UAE). In attendance at the conference, which was the 5th in the series, were delegates from Nigeria, Ghana, South Africa, Tanzania and Kenya, who listened and exchanged knowledge with experts on the digitalisation as it affects Africa. The 2018 Digital Dialogue Conference is a platform facilitated by MultiChoice Africa to foster a better understanding of the future direction of the video entertainment industry in Africa. Established in 2012 to create a better understanding of Digital migration and its impact on Africa’s digital landscape, the Digital Dialogue conference has become an independent and growing platform towards “fostering a better understanding and building knowledge on video entertainment and digital terrestrial markets, while creating necessary conversations with thought leaders about various industry-related issues,” according to the organisers. The filmmaker said digital solutions opened up a number of possibilities across Nollywood’s sub-sectors, especially in the areas of distribution, production, manpower and governance. “Beyond the big screen, small screens are creating a world of opportunities to 130 million active GSM subscribers of which 25 per cent can spend N1,500 per month on movies, equating to a staggering annual revenue of N585 billion ($ 2 billion),” he said. He said Afrofuturism was experiencing resurgence with the thirst for new perspectives on African stories, in relation to technology. Dotse also expressed his belief that Afrofuturism will ignite and grow engagement of youths in science and technology and increasing accessibility to the tools of digital media creation and dissemination. Also address the conference, futurist and innovation expert, Paul Papadimitriou, said digitalisation had changed lives and businesses. Anthony Lilley, professor of creative industries at Ulster University in Northern Ireland and the Director of Magic Lantern Productions, underlined how society uses technology to tell stories and make cultures. In their presentations, Gerhard Petrick, Deputy Chairperson of the Southern African Digital Broadcasting Association (SADIBA); Michèle Coat, Radio Communication Engineer at the International Telecommunication Union (ITU); Peter Barnet, Chairman of CM-WiB at Digital Video Broadcast (DVB) and Greg Bensbert, General Manager of Digital 3&4 at ITV, warned against further delay in digital migration in Africa, saying it would have long-term consequences on the economy. The SADIBA chief illustrated how network costs can typically be derived, stating that Digital Terrestrial Television (DTT) cost per service should be substantially lower than analogue network costs. Coat stated that the ITU facilitated the planning of the migration to digital and the coordinating spectrum requirements, which she said included a follow-up to the Geneva 2006 (GE-06) conference to plan the digitalisation of broadcasting and associated frequency use for 119 countries in Europe, Africa, Middle East, Central Asia. She confirmed that the remainder of the UHF band (470-694 MHz) was earmarked for broadcasting in future while the digital dividend (694-862 MHz) bands to be released in the switchover from analogue to digital TV would play a critical role in delivering broadband wireless access. Peter also shared an update of the DVB, including DVB-S2X, which offers Extended SNR (C/N) range, finer granularity from additional MODCODs, Additional roll-off values, Channel bonding. And will be available for DTH from early 2018. He also mentioned DVB-SIS – Single Illumination System- a cost efficient delivery of DVB broadcasts onto IP networks and will use 1 transponder to feed both terrestrial transmitters and DTH receivers. Bensberg gave some insights from his digital migration work as a key technical and regulatory adviser to UK government ministers during the switchover and future demands of technology changes. Using the UK’s 2005 Analogue Switchover (Digital Migration) as a case study, he said after migrating to digital, all public service channels in the UK became available to all viewers with more than 20 other new channels created, e.g. Sky News. Speaking to journalists after the conference, Mr. John Ugbe, Managing Director of MultiChoice Nigeria, said, just like organising the Digital Dialogue, the company has been engaged in many social responsibility programmes. According to him, MultiChoice focuses on education, health, youth and economic empowerment. “Our MultiChoice Resource Centre project is our education initiative that we have been active with for over 14 years. What we do here is work with the governments in each state to select beneficiary schools. We then provide audio-visual equipment (which include a dish, decoder with educational channels, TV, generating set, tables, chairs, UPS), to bring learning and the school’s curriculum to life. We set up our education package in the chosen schools, train the teachers on how to select relevant programmes intended to illuminate and animate information that would otherwise have remained theoretical or textbook based,” he said.